AMD is using one of the best games of 2016 to clear stock of AM3+ motherboards and systems. 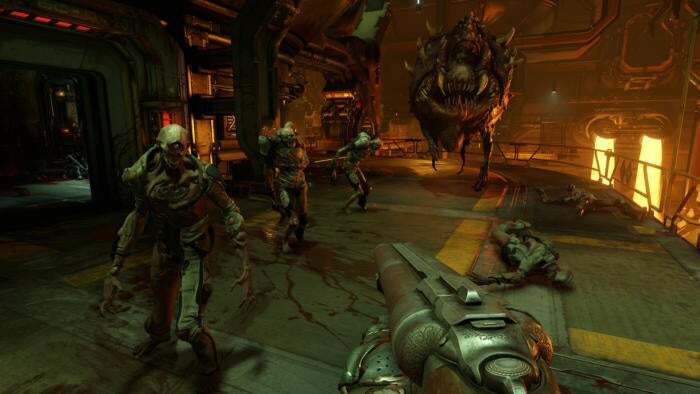 The company announced Friday that you can get a free copy of Doom when you buy select AM3+ motherboards or prebuilt systems with AM3+ motherboards inside. The offer will be available until January 27 or when all those glorious free Doom codes run out; all free game vouchers must be redeemed by March 27. The deal will be available at a number of North American electronics retailers (both online and off) including Amazon, ASI, Cyberpower, Cybertron PC, Fry’s, Ingram, Ma Labs, Microcenter, Netlink Computer Inc., and Newegg. The story behind the story: While deals are always great, the AM3+ bundles are really about enticing people to buy now instead of wait for the next great thing. 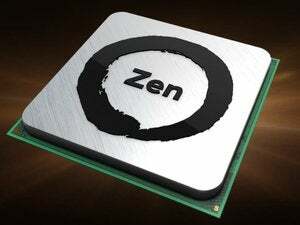 In 2017, AMD CPUs based on the Zen architecture are due to roll out. The new Zen chips (as well as newer non-Zen processors) will all unify around a new AM4 socket. For that reason, AM3+ components and systems must go. There’s a lot to like about Zen. For one thing, the new CPUs will be a real alternative to Intel, especially for those who haven’t considered the switch before. Zen chips will have simultaneous multi-threading (SMT), an architecture design that is similar to the Hyper-Threading in Core processors. In August, AMD announced its Zen-based Summit Ridge CPU, an 8-core desktop chip with SMT (that’s 16 threads of processing might) due out in the first three months of 2017. 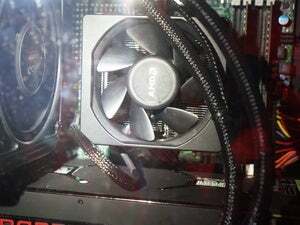 The company also demonstrated Summit Ridge standing toe-to-toe with a Broadwell-E Core i7. Sounds promising, but we’ll remain at least a little bit skeptical until we test it ourselves. If the promise of top notch processor performance wasn’t enough, Zen chips and AM4 motherboards will also introduce DDR4 RAM support. Waiting for the next great advance is always a good idea when it’s right around the corner, but these AM3+ deals still have their place. Zen will debut for high-end systems. Budget gamers looking for a solid rig upgrade would do well to look at what an AM3+ system would offer. There's a reason that so many of the designs in PCWorld's $500 gaming PC build-off (which you can watch below) featured AMD processors: They deliver solid bang-for-buck in budget builds. This is the second major stock-clearing from AMD with Zen on the horizon. In August, AMD announced a deal for a free copy of Deus Ex: Mankind Divided when you buy a 6- or 8-core AMD FX processor. That deal is still ongoing and expires November 14. That means budget system builders only have a few weeks left to build a new system from the ground up and get not one, but two free, top-notch games.